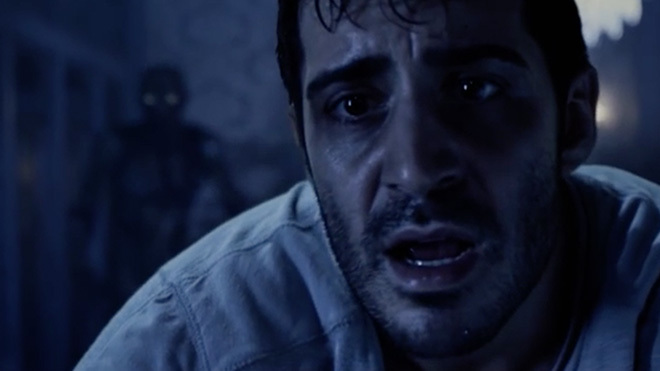 7-minute horror short packs feature-film punch. Last September, Variety announced that Guillermo del Toro would preside over a horror short film contest in conjunction with Legendary Entertainment and YouTube: “YouTube Space House of Horrors: A Legendary Halloween”. Filmmakers with YouTube channels and at least 10,000 subscribers were invited to participate. 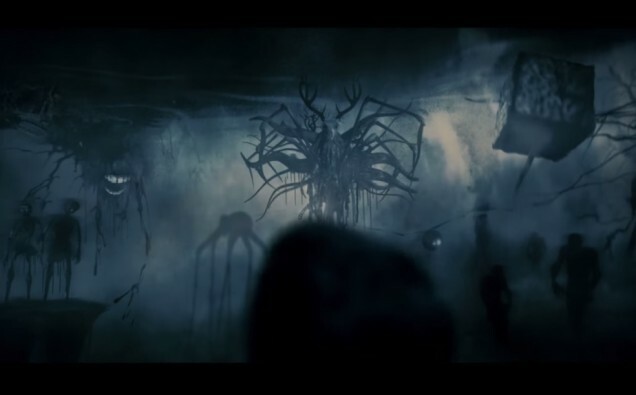 Qualified contestants were given access one of You Tube Space’s five professional movie sets, each inspired by del Toro’s films, to produce an original horror short they’ve written. They were also given access to top tier cameras and editing equipment. One of the top 5 finalists is a film called Thresher, directed by Mike Diva. Fans of Clive Barker and H.P. Lovecraft will definitely want to sink their teeth into this one! Synopsis: A man locked in a room faces inter-dimensional terror. While it’s only 7 minutes long, Thresher offers viewers the kind of epic viewing experience usually associate with full-length feature films. In addition to brilliant sound and cinematography, Thresher has 3-distinct acts, a powerful climax, and a two-pronged twist ending. It’s also impressive how well the story is conveyed with almost zero dialogue. The imagery of a man trapped in an elegant purgatory is exquisite, as are the visual FX. Actor Nick Gregorio brilliantly emotes, vacillating between boredom, madness, and submission—until he begins to suspect he might not be alone; at this point, Gregorio’s fear and urgency become palpable. The conclusion hints at a story that extends far beyond what’s been portrayed. Thresher stands as a truly excellent example of short filmmaking, and has plenty of development potential. I, for one, would love to see this made into a full-length feature. 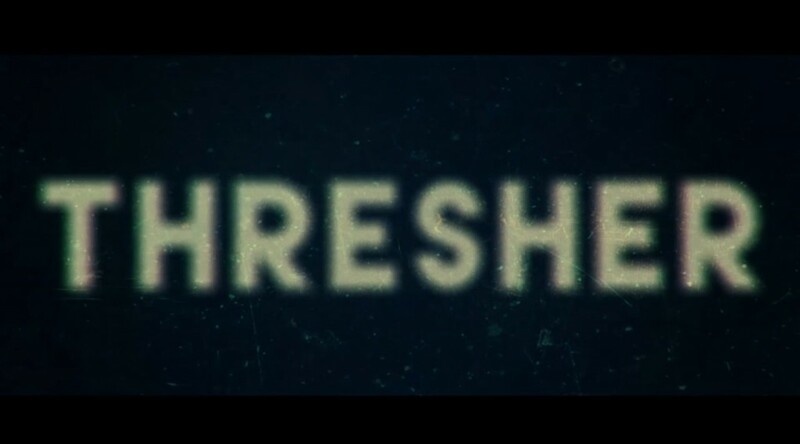 What do you think about Thresher? Would you like to see it made into a full length feature film? Sound off in the Comments section! I would totally love to see this made in to a full length feature movie. I am also grateful for this short movie on medical grounds. I suffer from a condition known as Hyperacusis, and a symptom of the condition is a painful high pitched ringing noise in my ears. I have suffered this from childhood, I am in my early 30s now. At 5:32 they use a sound in the video, that is the EXACT sound I keep hearing. Thank you so much, now I have an example of the sound I suffer with that I can share with people so they can better understand what I go through when I am having an “attack”. PS I know someone else who suffers from Hyperacusis and they have confirmed it is also the sound that they hear when having an “attack”. That’s really interesting Andrew. Thanks for sharing your unique connection to this film and thanks for reading! i really enjoyed this, it’s a shame that the first image on this article is what it is. Hell yes! That is all. do we have a name for the band and the song during the closing credits?